I have the pleasure of reviewing one of the most powerful blenders in the market. Though the Blendtec Total is an older model, I will be reviewing the newest models shortly. The Blendtec Total is like one of the Rolls Royce of the blenders and it is one of the ultimate blenders you can get. This blender is a countertop blender and it is a all in one appliance. It is larger than a personal blender, but small enough to fit on your counter, and in your cupboards. It is quite a powerful blender, and can be used for smoothies, making juice, crushing ice, doing ice cream, soups or grinding grains. This is not a cheap blender, so if you are going to purchase this one, you need to make the most of it. Do not only use it for smoothies. It is a powerful blender that can be used for different functions. Like everything in life, it has advantages and disadvantages which I will be discussing during this review. I always said that before purchasing a blender you need to establish the use you will give it. This is quite a powerful blender but too expensive to use only for smoothies. If you are planning to prepare soups, dips and use it daily then The Blendtec Total or any other Blendtec might be the blender for you. There are two powerful blenders which are always competing with each other. The Blendtec and the Vitamix. I will be reviewing the Vitamix later. They are both powerful and some people would love the Blendtec and others would love the Vitamix. From my extensive research, I would say that if you are planning to use your blender daily, and not only for smoothies, then this might be an option for you. In general the Blendtec is less expensive than the Vitamix, but it is still more expensive than lots of other blenders in the market. You can use this Blendtec to do smoothies (I think I said this a couple of times already), fruit juices (with the fiber, not like the traditional juicers), dips, sauces, soups, bread dough, ice creams, dressings , salsas, nut butters, grinding grains, margaritas, milkshakes and cappuccino. 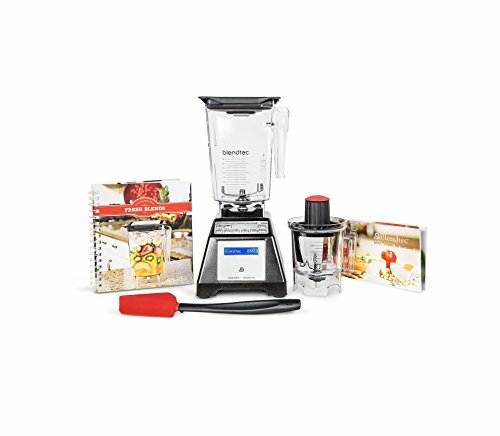 This blender is an intelligent blender that comes with preprogrammed buttons. So if you want to do a soup, all you need to do is put the ingredients in blender and press the soup bottom. The rest will be done by the blender, and the blender will actually stop when the cycle is finished. The blender will monitor the speed, the temperature and motor safety. It is to note that the slowest speed in this blender is usually faster than the fastest speed in cheaper blenders. So that means that the blender is actually very powerful. You probably have seen the video on YouTube of this blender blending an IPhone. Make flour from rice, corn, oats and other grains. Use it as a chopper By pulsing people have used it as a chopper, but you control how long you need to pulse for. Grinds seeds and skin of tomatoes. Make peanut butter with just peanuts, or any other nut butter. Having said that the twist jar (an additional accessory) it is best suited to do nut butters. The Twister jar is specifically designed for butters and thicker blends. You can get the jar here. To get the best of the blender it is important to pay attention to the order in which you add the ingredients. It is best to put liquid and soft ingredients first, then add the hard or frozen ingredients on top. It is also best if you cut the fruit into smaller pieces. Leave the frozen fruits and vegetables to add at the top. The Blendtec Total Blender does not come with a tamper like the Vitamix. So if for any reason the ingredients get stack. remove the jar from the motor, shake it a bit and put it back. The Blendtec blenders has the option of 3 different type of jars. They are all interchangeable, so you can use them in different Blendtec blenders. 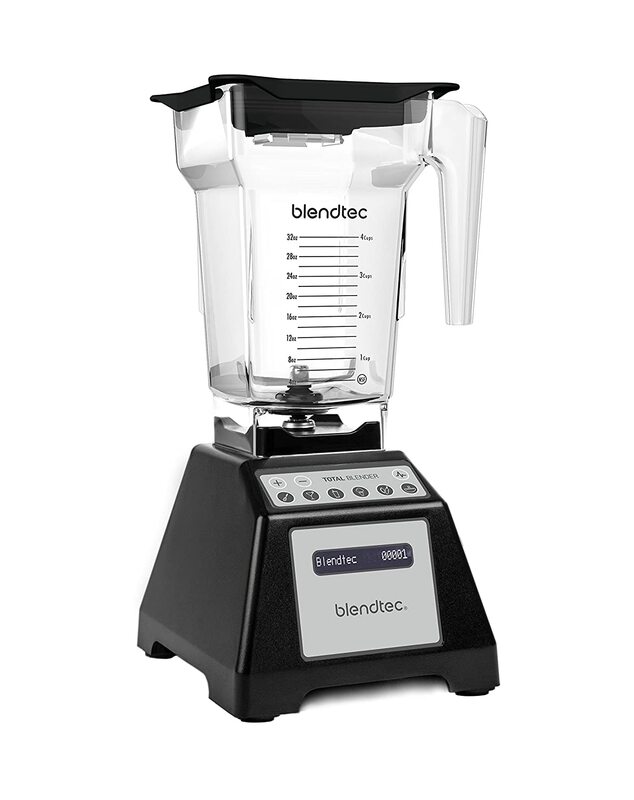 Just to clarify when you purchase the Blendtec, it comes with only one jar. You can purchase the other jars at an additional cost. 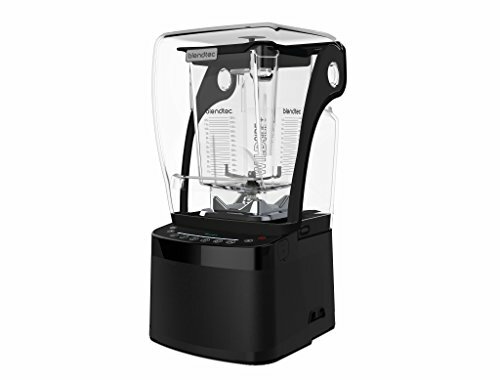 If you getting this blender from Amazon, this specific model comes with the Fourside jar. You could also get a refurbished option with the option of a WildSide Jar. An additional jar that you could get is the Twister jar. This jar is great for the thickest recipes, like nut butters, dips and baby food. All Jars are made of a strong but light plastic. The Plastic is BPA free. The blades are attached inside the jar. The good point of the Blendtec jars, is that the jars are smooth inside. They do not have ridges like the Vitamix Jar, so that makes it easier to scoop the blended ingredients, and to clean the jar. So the sides of the jars are plain and smooth. The FourSide Jar, has four equal sides. It is smaller in capacity from the WildSide Jar. The FourSide jar has a capacity of 75oz with measurements up to 32 oz. The Twister Jar has a capacity of 37 oz with measurements up to 16 oz. There is also a mini twister jar with a capacity of 28 oz with measurements up to 12 oz. 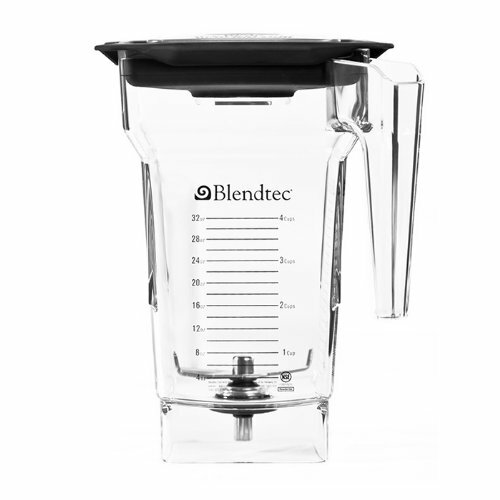 Blendtec suggests that the finished blended ingredients do not go over the measurement line. The WildSide jar is the largest one, and since it is the largest and widest one, it needs a bigger blade. This jar has a fifth narrow side which changes the angle of the vortex, which helps with frozen ingredients The base of the jar is wide and therefore it has a bigger blade. The WildSide jar is great for smoothies, green drinks, bread dough and ice cream. But you can do any other thing with this jar as well. The FourSide jar has a wide base and four equal sides. It is a rectangle jar that has been established to work better than round jars. The FourSide jar is great at creating a friction which heats up the ingredients when making soup. In this case the FourSide jar will heat up the ingredients faster than the WildSide jar. The Twister jar is smaller but comes with a scraper that helps when doing the thickest products, like nut butters, dips, spreads and baby foods. The WildSide jar and FourSide Jar come with a rectangle lid. The lid has a one and a half inch x one and a half inch hole you can use to add ingredients whilst blending. The hole can be covered with another plastic lid. The manual says you should not operate the unit without a lid, but I have seen reviews where they start using the unit without a lid and it puts the lid later. The explanation is that the vortex that gets created pulls the ingredients down and not up. I would suggest that you always keep the lid on, to avoid any possible mess. I have also seen other reviews where the person overfill the jar to the top and then the blended smoothie or juice spills out of the lid opening..
All jars are dishwasher safe and BPA free. If you are planning to use dishwasher please place jar on top rack. Check the cleaning instructions because it is so easy to clean, you do not even need to use dishwasher. If you need to purchase additional jars, you can do so from the manufacturer website. Motors have brushes that can wear out quickly. But the Blendtec brushes are made of electro graphitic carbon which makes them last longer. Because it has such a powerful blender, some people experienced movement and vibration of the unit. Some people said the blender moves quite a lot on the counter. 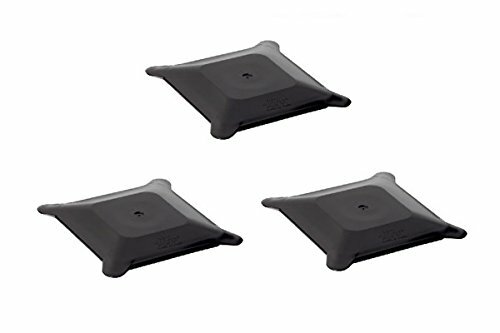 The best suggestion I can give you is to place it further from the edge of the counter and perhaps to place a rubber mat under the blender so that it stops the movement. There are some people that have not had any problems with movement. I also suggest that you do not overfill the jar. Many people said this blender is quite noisy. Let’s put this in perspective. We are dealing with a 1560 watts and 3HP. It is a powerful motor and it will make noise. Do not forget also that the amount of time the blender will be running is minimum, from 23 seconds to 90 seconds maximum. 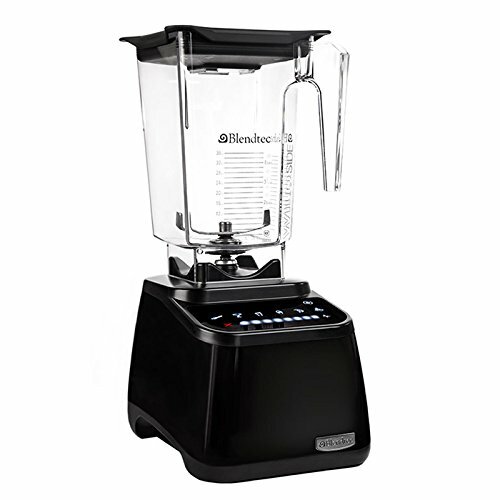 The Blendtec Total Blender comes with six preprogrammed cycles. There is a push button for each preprogrammed cycle. In addition there is a push button for the pulse function and a manual control option. The unit also has power switch at the back of the unit. Lets talk first about the pulse button. When you push the pulse button down, it will start the blender at its lowest gear. Each time you push it the unit will spin the blades faster. The blender will pulse for a maximum of 50 seconds and it will stop. The Blendtec Total Blender comes with manual control. There are two buttons, speed up and speed down buttons. In total it has ten speeds. Each time you press the speed up button the speed will increase one notch. The LCD display will show the speed the unit is working at. During the manual control cycle the blender will stop at 50 seconds. If you want to continue blending, you can restart it again. You can stop the unit by pressing any key or the power button. The Preprogrammed buttons are not just a simple timer. They do run for a certain time, but at the same time they change speed at specific times. The advantage of these programs is that they deliver consistent results. If you use the same ingredients (including liquid) and press the same button, you can expect the same result. The unit also comes with a LCD display, where it will display the time left on the program. So if the soup program runs for 90 seconds, as soon as you press the button for soups it will display 90 seconds and count down to zero. 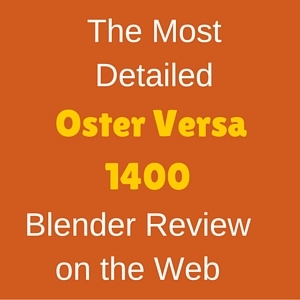 The Lcd display also displays the number of cycles run on the blender. This is the number of times the blender has been used since you purchased it. 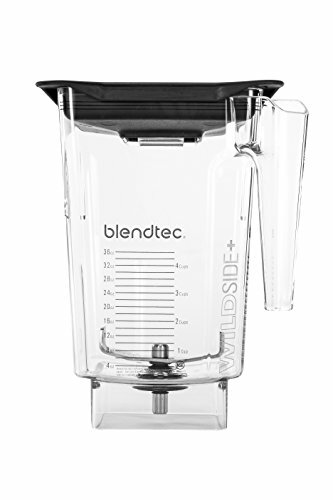 The Blendtec Total Blender, and any Blendtec blender comes with attached blades to the jar. So the blades are attached to the jar and you cannot remove them. 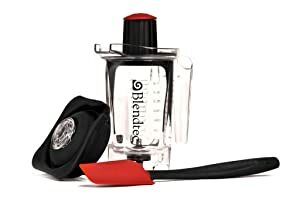 Since Blendtec has a basically three types of jars that are interchangeable, then every Blendtec model gets the same blades. Having said that, the blades for the WildSide jar are bigger than the FourSide jar , since the jar is wider. The blades are big and strong, made out of stainless steel. They are prepared for hard work, and hard work they do. Blendtec has a single blade design with wingtips. This allows the food to fall in front of the blades. The ball bearings reduce the friction so you can blend faster and faster. Not every product is perfect, and many customers have complained that the jar bearings start leaking after two years. Some people have had no problems with this, but others have had repeated problems. This was a major concern when the warranty was only two years, because you needed to replace the jar every two years. 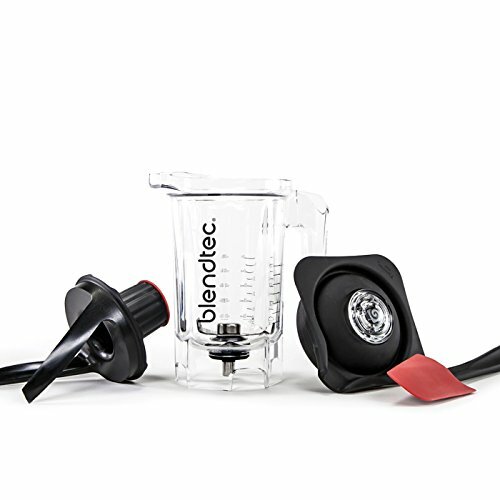 In this case if you purchase the Blendtec from Amazon it seems like you will get one year warranty for the jar. But if you buy the same model at Blendtec you get 7 year warranty. To clarify the Total Blendtec on the Blendtec site is a refurbished model, but you can get newer models at the Blendtec site. The cleaning of the Blendtec Total Blender is a breeze, same as with any other Blendtec blender, since all you cleaning is the jar. The jar is dishwasher safe on the top rack only. But if I were you I would not even use the dishwasher to clean it. It is so easy and safer to clean it by hand. Just add one cup of hot water to blender, add a drop of dishwasher liquid. Put lid on and whilst you holding the lid down pulse for five seconds. Then pour water out and rinse carefully. Let it dry on dish rack or dry manually. The manufacturer suggests that for long term sanitation you fill up jar with hot water and add bleach. I personally do not use bleach, but I would use white vinegar instead (I love white vinegar for cleaning). Try not to use abrasives brushes or sponges that may scratch the jar. Do not place the motor in the dishwasher. Use a damp cloth to wipe the motor clean. Blades do not detach from the jar, but they will get cleaned as you pulse with the soapy water. As mentioned above the Blendtec Blender jars do not have any ridges which makes it easier for cleaning purposes. As you can see the cleaning process is very easy. The Blendtec Total Blender does not come with any attachments. But you can purchase different jars, like the WildSide Jar or the Twister Jar. The WildSide Jar is larger than the FourSide jar, and it has the fifth smaller side under the handle. Since it is bigger than the FourSide then the blades are also bigger. The Twister jar is smaller, but it comes with a scraper that rotates when blending and helps pushing the ingredients form the side to the blending vortex. The Twister jar is ideal for thicker recipes like nut butters, dips, hummus and baby food. The Blendtec Total Blender is big enough to be a powerful blender but small enough to fit on your countertop or under the counter. Storage is easy. You can remove the motor and store it separate from the pitchers, or store it all together. The unit is to be used with 120 volts. If you need a unit with another voltage you need to contact the manufacturer or distributor in your own country. 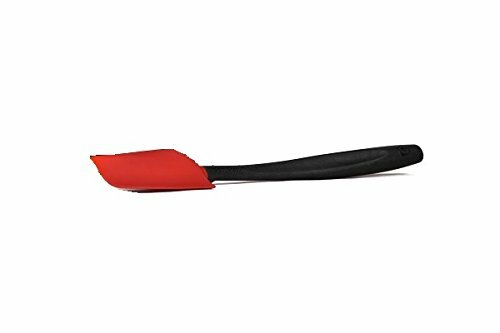 The product if bought in Amazon carries a 3 year warranty for the motor, a 1 year warranty for the jar and a lifetime warranty for the coupling and blade. if you buy these from the manufacturer site, provided they only have refurbished units for this specific model), then you can get 7 year warranty for the unit or jar. Extra accessories can be purchased from the manufacturer website or from Amazon directly. The only accessories you can buy are the vented gripper lid, the spoonula spatula, the spectacula spatula for the twister jar and the recipe books. You can also get the different jars, FourSide, WIldSIde and Twister jar, all with the blades. Very Powerful blender, it will blend anything. It is great for smoothies and soups. Great for margaritas and for dips. It does a great job at grinding. Easy to make nut butters with it. The results are consistent and smooth. Easy to get everything out of jar. No need to use a tamper. Small enough to fit under cabinet. Preprogrammed cycles– You can just push button and walk away. Easy to use and durable buttons. Fast results, blends everything under 90 seconds. Lifetime warranty on coupling and blades. It might need some dicing of food before blending. It might move around lightly over the counter when blending, so you need to place it back of watch it. Several people had problem with black liquid leaking out of the bearings. This model has a lifetime warranty on coupling and blades. The Blendtec Blenders are very popular. 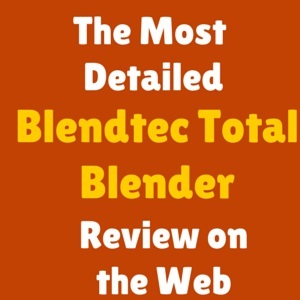 This specific model, the Blendtec Total Blender, is also very popular, with a rating of 4.4. 84% of the ratings were 4 and 5 stars. This indicates that people are very happy with it. The price of this unit is high compared to other blenders. But if you compare this price with other Blendtec models or the Vitamix blenders, this is quite reasonable. You also get free shipping with Amazon Prime. The other alternative is to get a refurbished unit form the Manufacturer itself, and you get free shipping. The price is not unreasonable for what the blender does. If you are going to do only smoothies then it might be expensive. But if you are planning to do soups, salsas, butters and dips, I think this is a great blender that will last you for years. My research conclusion is that this is a great blender. It is the cheapest of all the most expensive ones(Blendtec and Vitamix), so if you have budgeted for an expensive but great blender, then this is for you. If not then you can get cheaper alternatives. You have the budget to spend . If you want a durable and strong blender. If you are planning to do dips, salsas, soups and nut butters. If you want to prepare smoothies. If you want a simple to operate blender, without guessing how long you need to run the bender to do it correctly (the blender has preprogrammed cycles, just press the button and let it run). If you want consistent results. If you want to spoil yourself to one of the top blenders. Although there were some complaints and people have compared this with the Vitamix, many people were very happy with this unit. I will also be reviewing the other Blendtec models so stay tuned. If this blender is not within your budget, then you can always check my other reviews, like the Ninja Master Prep, the Ninja KItchen System Pulse, the Nutri Ninja Pro, the Nutri Ninja Auto IQ or the Nutriullet. Thanks for such a comprehensive review. It’s an investment so knowing as much about it as possible is a big help.